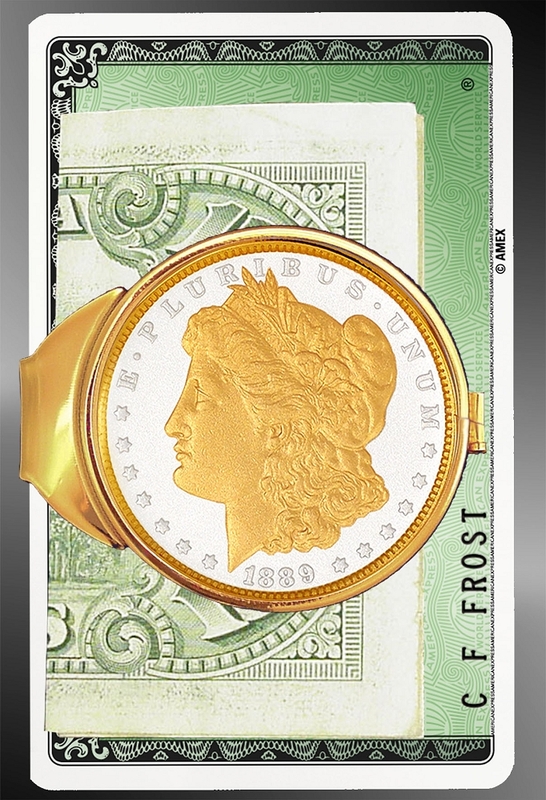 Morgan Dollar Money Clip, 100+ year old coin, gold tone spring-loaded money clip, enhanced with precision 24K gold and LensCote protected. The Morgan Dollar spanned America's taming of the West to the invention of the automobile. John D. Rockefeller was known to plunk these "cartwheels" into the pockets of lucky newsboys for a paper. 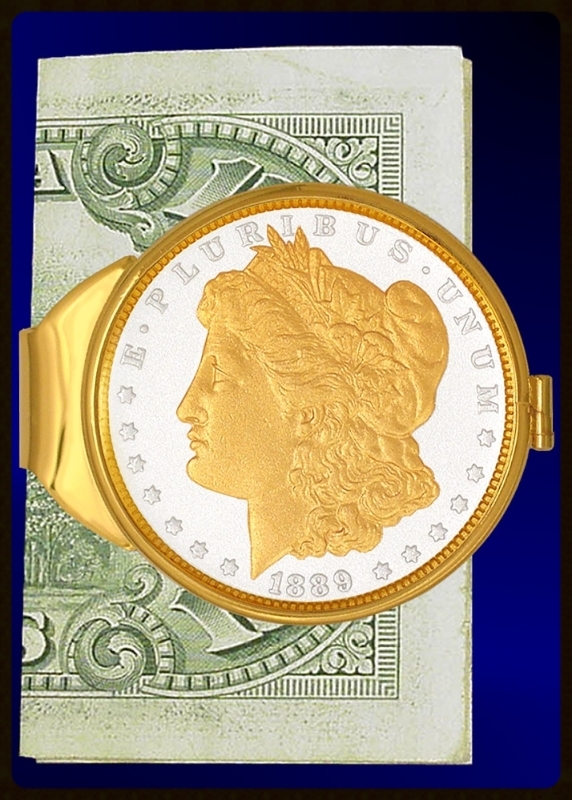 Although we cannot say your coin will be one of those, we can certify that each Morgan Dollar will have over 100 years of its own unique history. 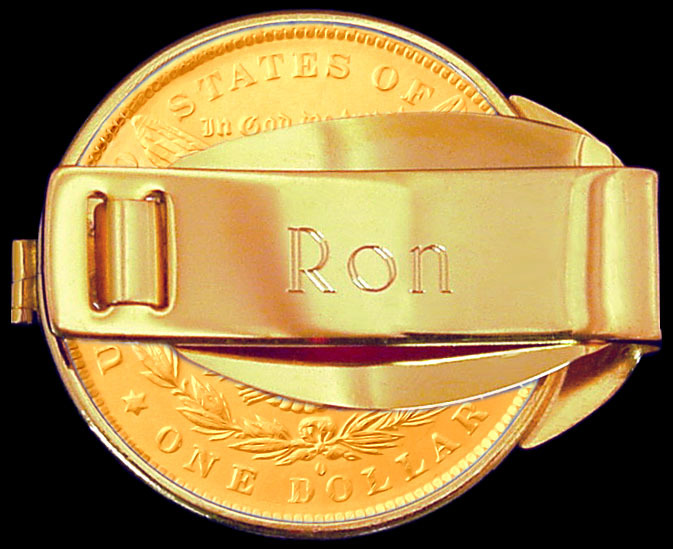 All coins are enhanced with precision 24K gold and LensCote protected for posterity. Very nice. Better than expected. Thanks! 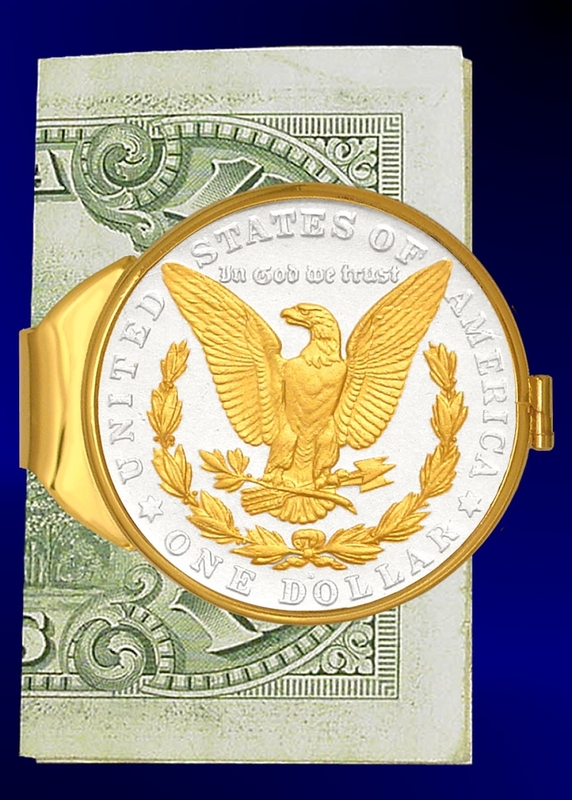 I have purchased eight Morgan silver dollar money clips over the years for each of my four sons and son in law and three for myself, after losing one. Wherever I go and take it out to pay for items, I get comments and questions about them. My money clips are my favorite personal item ever. I have not worn a clip out yet and the gold covering, protefted by the plastic cover is still perfect. Dear Sir or Madam, The product is absolutely great! I dearly thank you for your it.